As advocates of everything natural, I Got Youth has a commitment to its customers by providing them with healthy skincare alternatives. We focus our attention and efforts to ensure that our people enjoy beautiful, glowing, youthful skin, value for their money, and also a wholesome state of well-being. We believe customers have a right to products that are harmless to both them and the environment. Hence, we shun the use of synthetic ingredients and also animal cruelty. IGY always ensures that we exclude ingredients such as synthetic fragrance, mineral oil, petrolatum, phthalates (endocrine disruptors), parabens, synthetic colors and dyes, BHT and a host of other harmful preservatives from our hand crafted production process. At IGY, we strive to ensure customer satisfaction by providing them with nothing but the best. “Every activity at IGY, gravitates around one purpose – to ensure our customers attain that ageless look they desire”. Watching people spending a lot of money on skin care products and not get desired results, was a horrible experience. Also, we wanted to contribute to the reduction of the alarming levels of chemical exposure, which we fail to acknowledge as a result of our busy lifestyles. This has caused people to neglect the adverse effects these artificial components have on their overall wellbeing. This brought about the conception of IGY. In a world where artificial ingredients are majorly used for skin care products, we aim to provide natural made, safe alternatives. 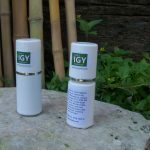 Since its inception in 2013, IGY has always focused on producing skincare products solely with natural ingredients to suit the various needs of its customers. Our products are created in a cottage production kind of setting, with a lot of passion for the process and the end result. We create skin care products ranging from all natural, Anti-Aging Serums to essential oils; all of which are organic and natural. 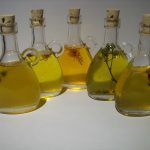 We believe we can change outlook towards natural skin care products by making them readily available and at a low cost. Nature as the perfect source for skincare ingredients is an idea that cannot be understated and we acknowledge this fact fully. IGY understands the potency of going natural and our products are not just centered around fixing skincare issues, but also aid our customers keep a healthy skin. 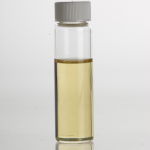 Some of our favorite ingredients include Hazelnut Oil, Black Willow Bark, Carrot Oil, Aloe Vera and Basil Oil among a long list of natural extracts, which we use in making small badge, hand crafted quality products for you. We put in a lot of affection in the creation process because our customers aren’t just customers; they are family and you only give your family the best. Having a team of professionals with expertise on what is and isn’t good for your health, we carefully select and process ingredients used in making only high-quality products for your consumption. Every ingredient used in making our products is there to carry out a specific function, this makes our products very potent but subtle enough for every day use, while also being effective in ensuring you have healthy, glowing skin. Proper skin care is attributed to having healing properties and contribute to one’s overall wellbeing, whatever is absorbed through the skin will at a point affect the rest of the body and that can be either good or bad for our overall well-being. This is why IGY seeks to make healthier skin care products available, not just because we want you to look absolutely stunning but also because we want you to feel fantastic as well. We at IGY, connect with our customers by being easily accessible and also communicate with them via our social media platforms and blog, conversing and sharing skincare and helpful tips with our customers while also acknowledging and improving on our services based on customer suggestions. After all, the customer is always right. We at IGY, know that it isn’t so easy believing that any product can be composed totally of natural ingredients. However, the natural route is the only way we know how to thread. Therefore, we make it a priority to open up channels of communications and make information about the components of our products available to our customers and the public. Trust is key in every relationship and we take yours very seriously. In our bid for environmental sustainability, IGY makes use of mostly glass materials – which are easily recyclable – in product packaging, to ensure there is a reduction in plastic consumption and environmental pollution. IGY supports the spread of the good word by contributing 70% of all net proceeds to B’Nai-El Ministries – a non-profit charitable organization, devoted to the support of missionary work that revolves around presenting and proclaiming Jesus Christ, our Lord and Savior, across the world.